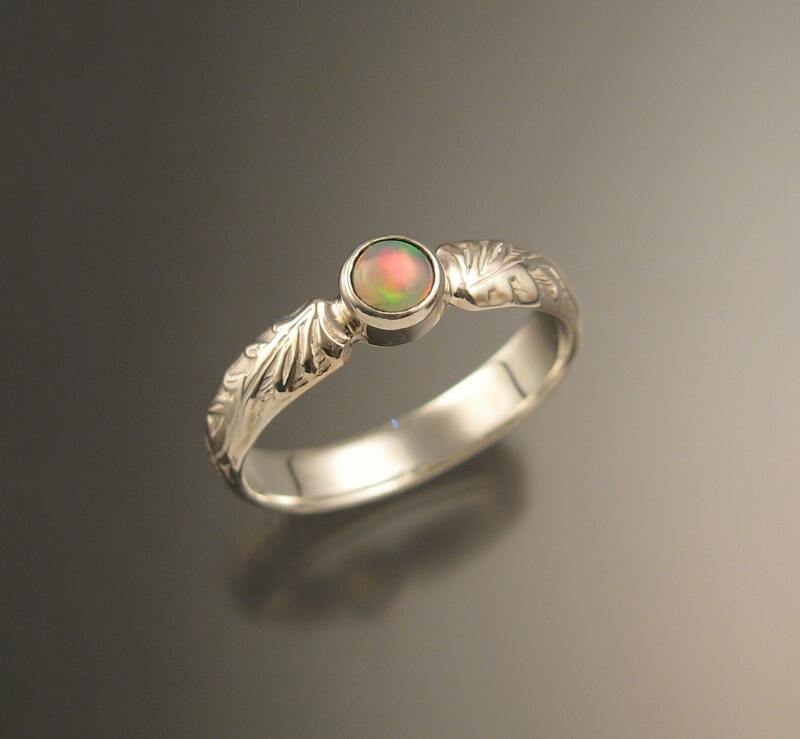 Set in a bezel with a 4mm wide floral Sterling Silver pattern band. This was actually a special request. 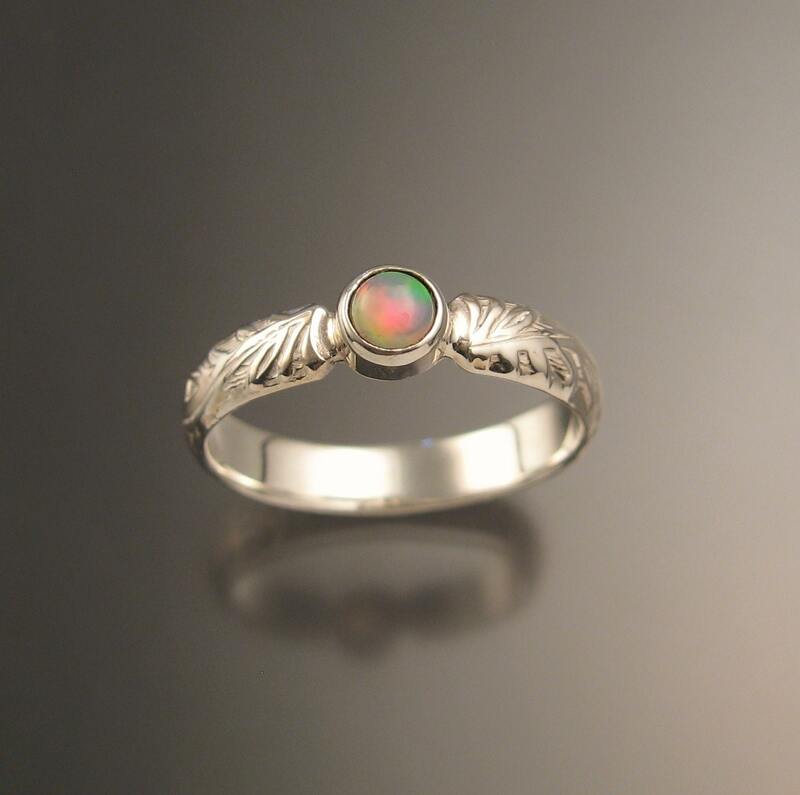 This ring but a more blue opal. It's gorgeous! 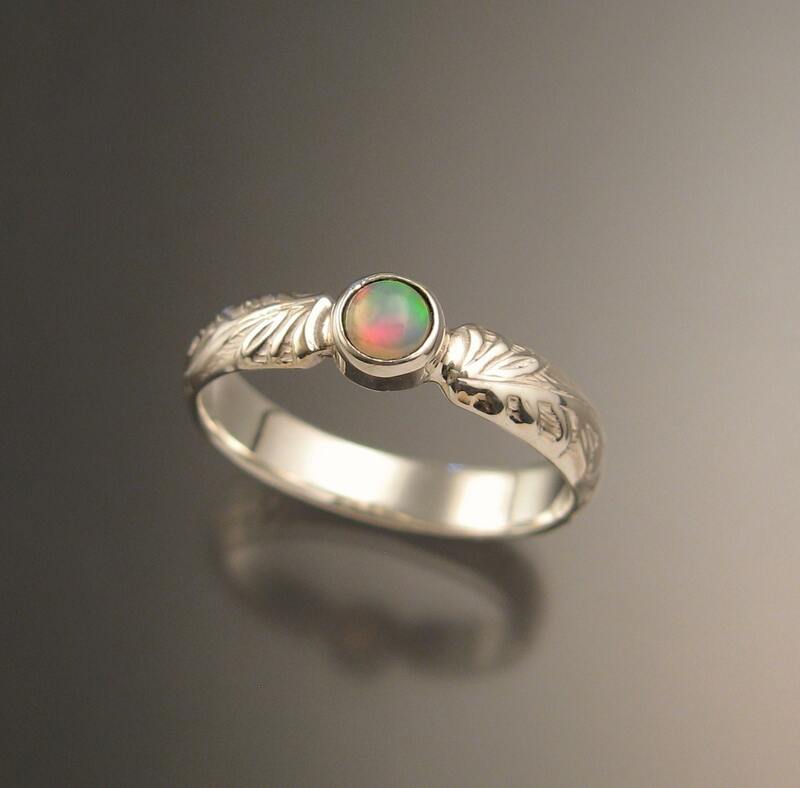 The opal is so lively and sparkly. 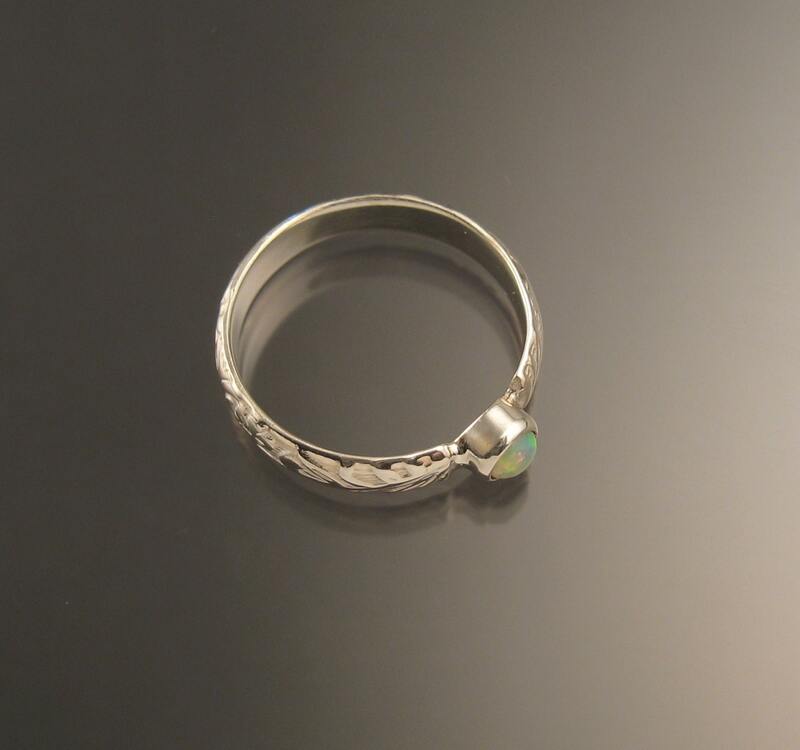 And the ring is beautifully made. Very smooth and comfortable. Love love love.